Chocolate helps your low carb diet – if you play by the rules. The idea of eating low carb chocolate to lose weight seems impossible, right? The idea is real. And science backs it up. What Chocolate is the Lowest Carb? Dark chocolate is very low carb and healthy. The higher percentage of cocoa, the lower the net carbs – generally speaking. Obviously, we need to check each label to determine the carbs. Starting by checking the labels of the higher cocoa versions – it will shorten your search time. Impressive research shows eating dark low carb chocolate promotes health and increases weight loss. These are two solid reasons to enjoy chocolate without the guilt of blowing your low carb plan. It’s surprising, but eating healthy dark, low carb chocolate frequently is linked to weight loss. Certain chocolates are rich in fat – a favorable metabolic effect for low carbers. After eating low carb chocolate, fewer calories end up as fat deposited in the body, translating into weight loss. These weight loss effects have been the subject of two well-known studies. Why is eating chocolate associated with weight loss? Dr. Beatrice Golomb, associate professor of medicine at UC San Diego suspects it has something to do with cocoa’s epicatechins, an antioxidant that increases muscle mass and weight loss. Golomb’s chocolate study focused on 975 San Diego men and women, aged 20 to 85. Half the participants ate low carb dark chocolate, half did not. Both groups engaged in the same amount of exercise. The dark chocolate eaters consumed more calories overall, but had a lower body mass index (BMI) than the chocolate-avoiders. The study does not prove why eating low carb chocolate has this effect, but the weight loss results are a sweet surprise. In early 2012, The American Chemical Society devoted a panel to research the health benefits of chocolate and cocoa. Dark chocolate helps weight loss and reduces cholesterol. Dark chocolate helps the elderly score higher on cognitive tests (University of Illinois, 2008). Dark chocolate has more cell-shielding antioxidants than the juice of “super fruits” (University of Oxford, 2009). For health benefits and weight loss, dark chocolate enjoyed in moderation on a low carb diet is possible, but there are rules. Set a “chocolate limit” and eat only a realistic amount: a few square inches. Count your carbs and your calories. Be strict, honest and accurate. 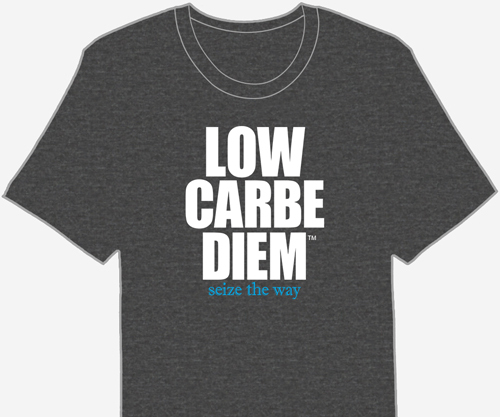 When eating low carb chocolate, eat a maximum of 10 net carbs per hour to avoid insulin spikes. If your cravings for sweets increase, reconsider your decision to eat chocolate. When it comes to chocolate, darker versions are usually healthier. Dark chocolate is made with a much higher ratio of chocolate solids – and very little added sugar. Choose a dark chocolate that hasn’t come in contact with any gluten-containing grains. Double check the label for net carbs and hidden carbs. Select dark chocolate produced organically by people working under fair conditions. Choose dark bars made from at least 70% cocoa solids. Choose dark chips made from at least 55% cocoa solids. Snack on organic raw cacao nibs instead of chips. Organic Raw Cacao Nibs are “nature’s chocolate chips” boast a strong, raw dark chocolate flavor. Snack on these sweet dark chocolate nibs or use them in recipes instead of sugary milk chocolate chips. Cacao powder offers a sugar-free, rich taste and bold chocolate flavor. Viva Labs Cacao Powder is made from Criollo cacao beans – the highest quality cacao without bitterness. Lift your mood, elevate energy and burn more fat. Add cacao to your favorite cup of buttered keto coffee or ice cream. Dark chocolate still has some sugar, which is a toxin. The sugar in chocolate is a known trigger for unhealthy cravings or binges. Many chocolates still contain small amounts of soy lecithin, an unhealthy emulsifying agent. Some chocolates could be cross-contaminated with gluten grains. Enjoying low carb chocolate satisfies cravings for sweet foods while providing health benefits. Chocolate has antioxidants and helps repair free radical damage. Dark chocolate is a good source of iron, magnesium, copper and manganese. Dark chocolate is low or very low in sugar. Cocoa butter is healthy and low in polyunsaturated fat. Eating chocolate on your low carb cheat day speeds fat loss.